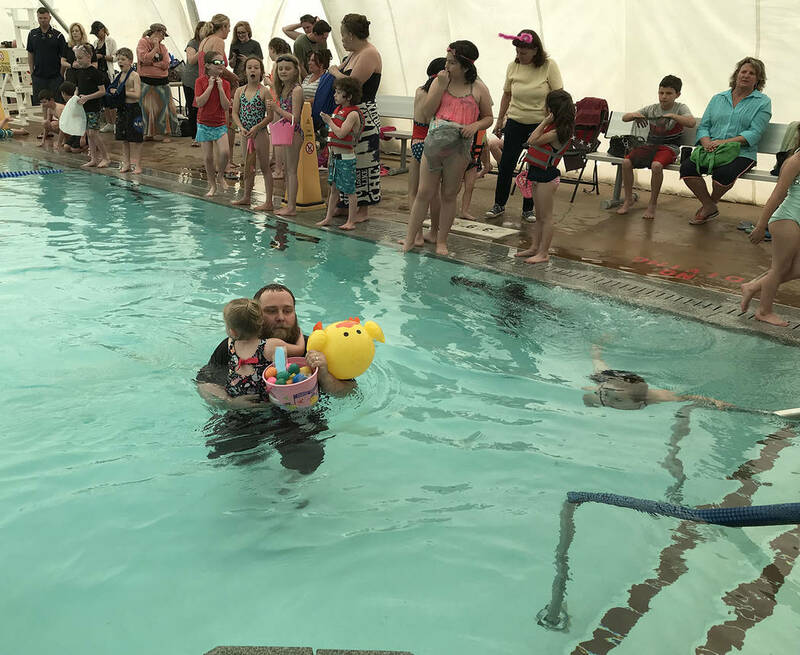 (Hali Bernstein Saylor/Boulder City Review) Cody Gardner helped his daughter Alenna gather toys and eggs during the annual Easter Pool Plunge on Saturday, April 6, at the Boulder City Pool. 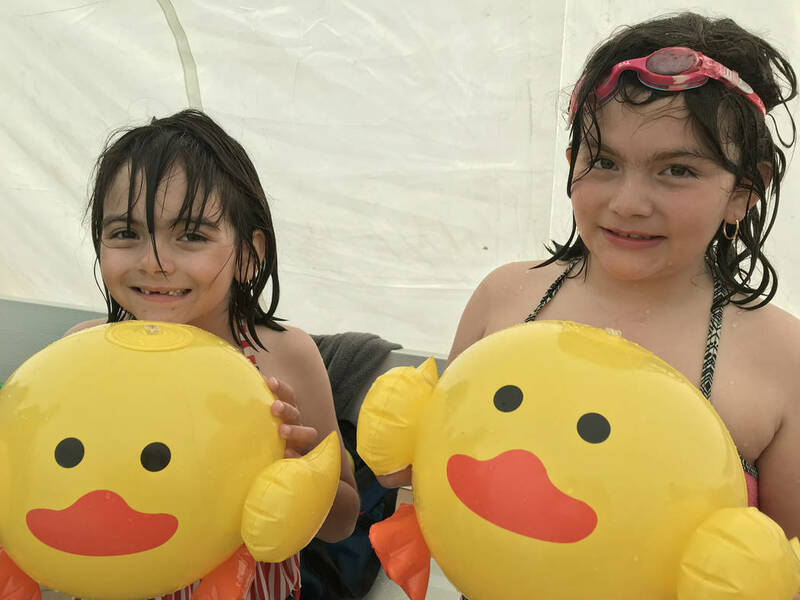 (Hali Bernstein Saylor/Boulder City Review) Sisters Jolene left, and Nataly Gillard show off the inflatable chicks they found at the fourth annual Easter Pool Plunge on Saturday, April 6, at the Boulder City Pool. (Hali Bernstein Saylor/Boulder City Review) Mia Redelsperger, 3, demonstrates how to use a spring toy she found during the fourth annual Easter Pool Plunge at the Boulder City Pool on Saturday, April 6. 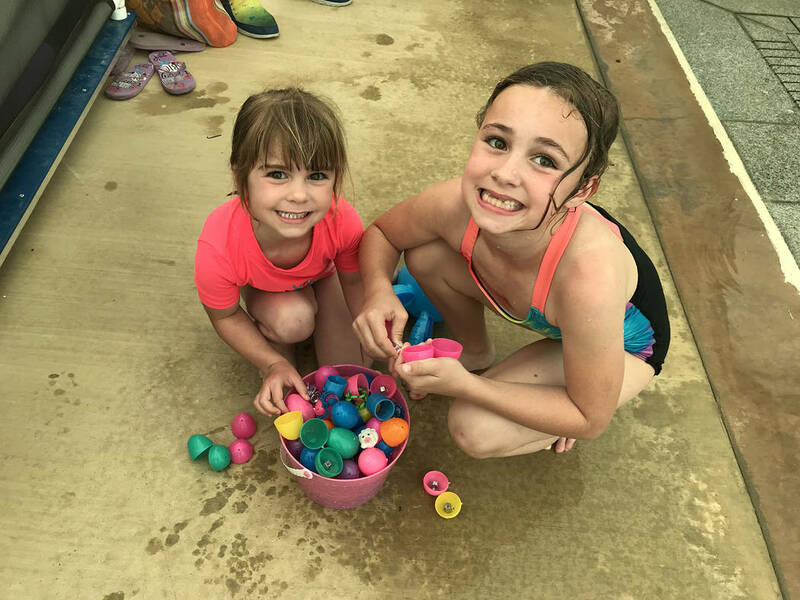 (Hali Bernstein Saylor/Boulder City Review) Hayden, left, and Taylor Reeves show off a few of the eggs they gathered during the fourth annual Easter Pool Plunge on Saturday, April 6, at the Boulder City Pool. 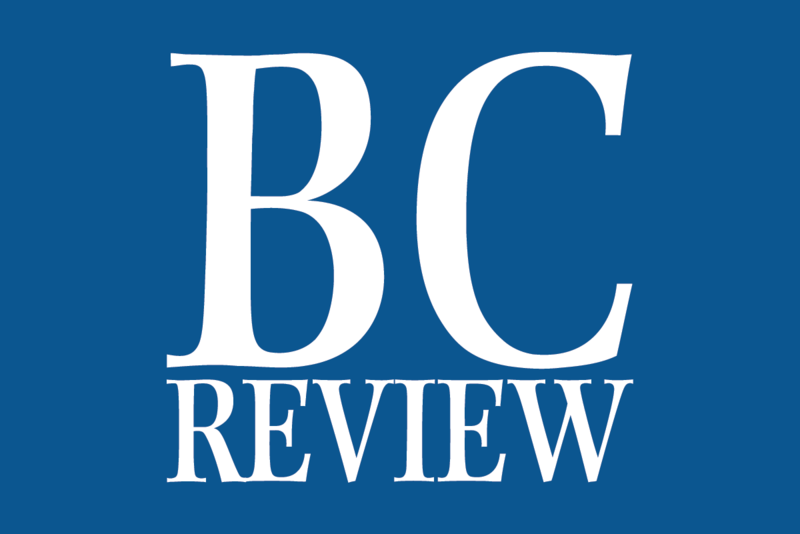 (Hali Bernstein Saylor/Boulder City Review) Children took the plunge Saturday, April 6, to search for toys and prize-filled eggs during the fourth annual Easter Pool Plunge at the Boulder City Pool. 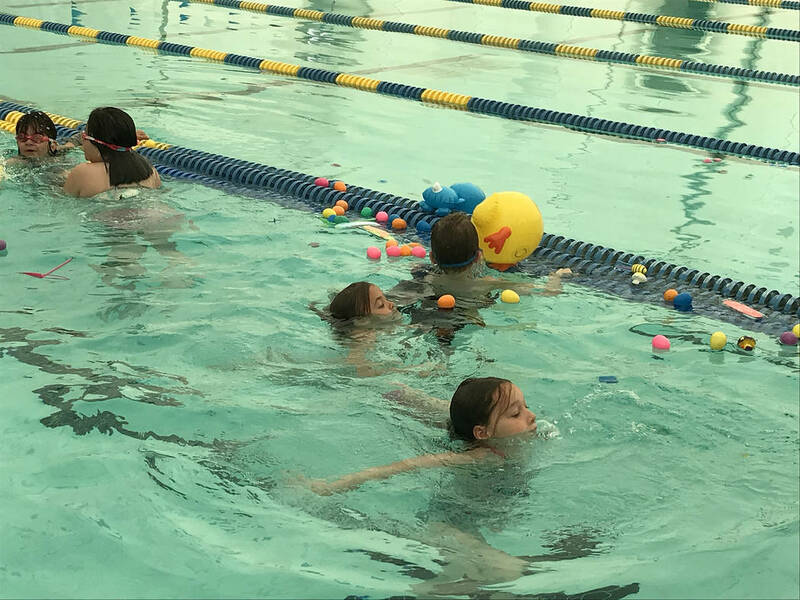 Children took the plunge Saturday, April 6, to search for toys and prize-filled eggs during the fourth annual Easter Pool Plunge at the Boulder City Pool. 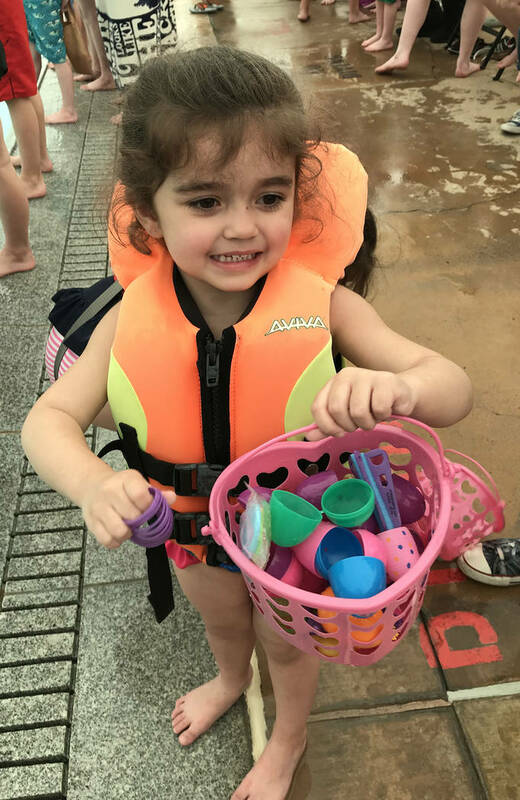 Mia Redelsperger, 3, demonstrates how to use a spring toy she found during the fourth annual Easter Pool Plunge at the Boulder City Pool on Saturday, April 6. Hayden, left, and Taylor Reeves show off a few of the eggs they gathered during the fourth annual Easter Pool Plunge on Saturday, April 6, at the Boulder City Pool.